Dr. Radu Gheorghiță is a specialist in the New Testament, with additional teaching responsibilities in the Old Testament and Septuagint. He is currently professor of biblical studies. Dr. Gheorghiță is a native of Romania and received the Bachelor of Science degree from the University of Cluj, Cluj-Napoca, Romania. His Master of Divinity degree is from Trinity Evangelical Divinity School, Deerfield, Ill, and his Doctor of Philosophy is from the University of Cambridge, England. Dr. Gheorghiță came to Midwestern from Emmanuel Bible Institute in Oradea, Romania. He currently resides in Europe and directs the Romanian DMin Program while returning annually to Kansas City to teach in Midwestern’s other academic programs. 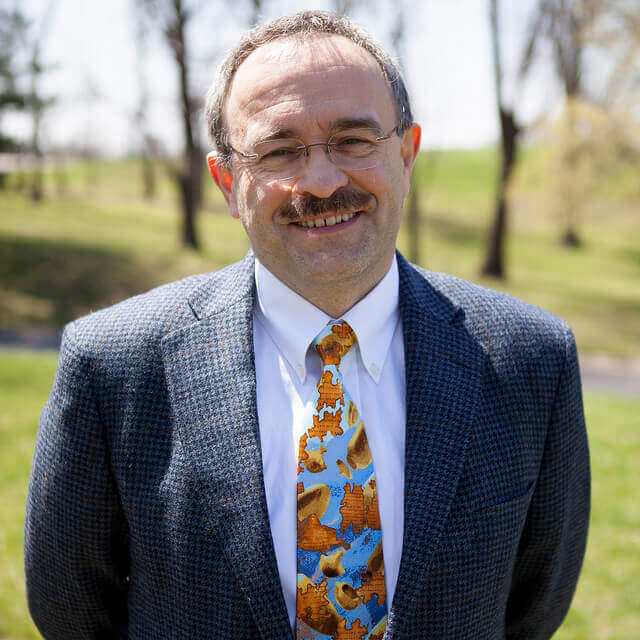 Dr. Gheorghiță’s field of research is Septuagint studies and the use of the Old Testament in the New Testament. He has a special interest in Scripture memorization, both in English and the original languages; and he is able to recite entire books of the New Testament, including 1 Timothy and the Revelation. Dr. Gheorghiță is also a talented musician in both guitar and organ. He and his wife, Liz, have five children. The Letter to the Hebrews. The Story of the Bible Commentary Series — Grand Rapids: Zondervan. “Echoes of Exodus in Hebrews” — In Reverberations of the Exodus in Scripture.160-187. Eugene, OR: Wipf and Stock Publishers, 2014. “Misquoting Bart: The Story behind Who Changed Misquoting Jesus and Why” — Midwestern Journal of Theology Vol. 10, no. 1 (2011): 39-56. “The Influence of the Septuagint on the New Testament: Toward a More Objective Assessment” — In Early Christian Literature and Intertextuality. Volume 1: Thematic Studies, edited by Craig A. Evans and H. Daniel Zacharias, 165-83. London / New York: T. & T. Clark International, 2009. “The Minor Prophets in Hebrews” — In The Minor Prophets in the New Testament, edited by Maarten J. J. Menken and Steve Moyise, 115-34. London / New York: T. & T. Clark, 2009.